Green tea and weight loss have been in the news recently as one of the newest ways to help shed pounds and keep them off. Teas have been touted for years as an antioxidant rich drink; now, the green variety has shown promise in the search for the ultimate weight loss drug. But is it for real? Studies vary in their findings. Green tea is made by picking tea leaves and drying them instead of fermenting them. The fermentation process (which is used in making black tea) destroys catechins with antioxidant properties called epigallocatechin gallate (ECGC). When ECGC is combined with caffeine (found naturally in tea or as an additive), the effect is said to raise the potential for fat burning. Green tea also has other beneficial uses. It contains antioxidants that fight cancer, heart diseases, stroke, and other health problems. Because of its powerful properties, research is being done to see whether or not it has weight loss potential. 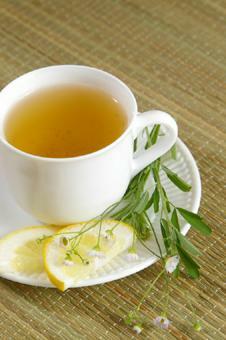 Various studies have been conducted regarding green tea and weight loss. Findings from the studies have been diverse. Most study findings are inconclusive or show small amounts of improvement, at best. A study done at Maastricht University in the Netherlands, published in 2004, measured green tea and weight loss maintenance. The researchers studied whether a combination of green tea and caffeine prevents or limits regaining weight after a loss of five to ten percent in overweight/obese people. Study results are inconclusive. No real difference was found between green tea users and the placebo group. In fact, some participants showed a higher weight regain due to the caffeine additive in the green tea group. This study recommends drinking at least four cups of green tea per day. The Mayo Clinic, a leading research hospital in the United States, gives green tea a grade of "C" because it is unclear whether or not weight loss and maintenance are affected by green tea usage. The Clinic also points out that green tea can have adverse effects in some people, especially those allergic to caffeine or tannin. Caffeine itself has a number of side effects, including stimulating the central nervous system, and should be used in moderation. More intense, longer clinical trials need to be conducted before conclusive evidence is found linking green tea and weight loss. Green tea is considered an herbal remedy. Therefore, it is not regulated by the Food and Drug Administration. Due to this fact, most experts recommend that green tea should be ingested as an extract or by drinking the tea. Patches, supplements, pills and combinations with other herbal remedies should not be used due to lack of regulation. Several cups (upwards of five to six) can be taken a day. However, if experiencing side effects due to caffeine, cut back or quit drinking the tea. Even if green tea and weight loss are not shown to be linked, the numerous other benefits of green tea are not without merit, and health may be improved regardless.